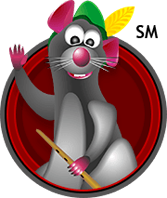 FREE ONLINE ESTIMATECheck out our Pest Control Pricing Today! No one wants uninvited guests – especially the creepy-crawly kind! Pied Piper Residential Pest Control Services offers homeowners the convenience of “one-stop pest control shop” to keep their home from becoming the target of pest infestation. At Pied Piper Services, we specialize in the latest pest control technologies and methods for your home with a focus on total customer satisfaction. As a homeowner, it is unlikely that you want pests to take up residence in your home, however, not proactively dealing with your pest problems can make the problem even worse. Not only can pests be destructive in your home, like termites, many pests including rodents and cockroaches can create unsanitary conditions that can, potentially, make any of the residents sick. These issues and more make investing in residential pest control important. There are many different pests that can be found in a residential setting. No matter what pests you are finding around your home, the experts at Pied Piper Services can eliminate them. Residential Pest Control treatments are available for roaches, ants, silverfish, spiders (including brown recluse and black widow), bed bugs, fleas, ticks, beetles, flying insects (including mosquitoes), crickets, rodents, scorpions, centipedes, pill bugs, chiggers or ANY other pests. At Pied Piper Residential Pest Services, we understand that a treatment that works for one pest won’t always take care of another. To ensure your residential pest control is as effective as possible, we provide many various treatments designed to target the specific pests that are currently inside or outside of your home. No matter what pest is in your home, we are sure to have the treatment solution to remove them from quickly and efficiently. Each home comes with its own unique factors and problems that can contribute to pest infestation. While many pest control companies will attempt one-size-fits-all pest control treatments, the experts at Pied Piper Services are committed to providing customized, flexible residential pest control treatments to treat for pests both inside your home and around it. Even simple steps, like cobweb removal, are included to ensure your satisfaction. To ensure your custom residential pest control treatments are as effective as possible, Pied Piper Services will install insect monitoring devices to help determine what pests are currently in your home and the best treatment plan to remove them. These non-intrusive devices allow us to monitor high-traffic areas utilized by pests to develop a customized pest plan for your unique needs. Don’t settle for ineffective pest control treatments, let us help create a custom treatment program for your home. If you are like most homeowners, you probably feel that paying for residential pest control services blindly just doesn’t make sense. At Pied Piper Services, we want to make sure that you are confident about your decision to partner with us. To achieve this, we provide each and every homeowner that utilizes our residential pest control services with a detailed report on what pests were found, what type of treatment was provided and prevention tips that you can follow to keep pests from returning. Dealing with a pest infestation shouldn’t require you to miss work or other activities that you had pre-planned just to receive residential pest control treatments. To help combat this problem and ensure your schedule isn’t disrupted, Pied Piper Services provides convenient scheduling options, including evenings and weekends. If you have struggled with pests in your home, you deserve the opportunity to take care of them when it’s most favorable for you. When you partner with The Pied Piper, we are confident that you will be satisfied with your residential pest control services. Unlike most pest control companies, we believe that your complete satisfaction is critical and offer a money back guarantee on our pest control services. If you are still skeptical, don’t just take our word for it! We encourage you to browse our testimonials to see what makes The Pied Piper different. Pied Piper is dedicated to providing the service you expect. Not only from our uniform trucks and appearance but also from our professional manner in handling all of our customers’ needs. Pied Piper is a company built on customer satisfaction and most importantly referrals. Contact us today to discuss your home pest control needs.